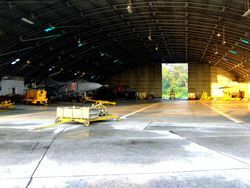 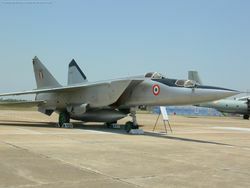 MiG-25 Trainer [DS362] on the ground at Barielly. 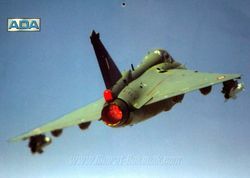 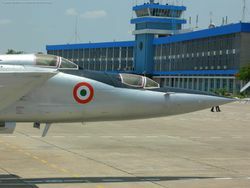 Only one of the two trainer aircraft survived in airworthy condition till the final phasing out of this type. 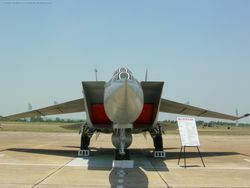 Trainer version of the Foxbat. 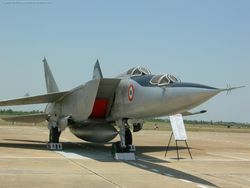 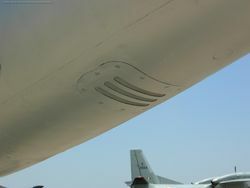 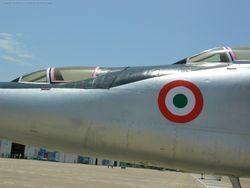 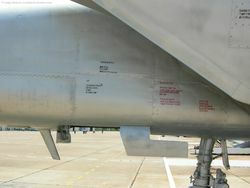 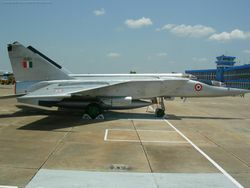 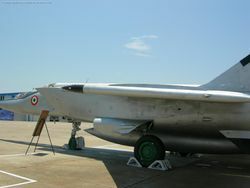 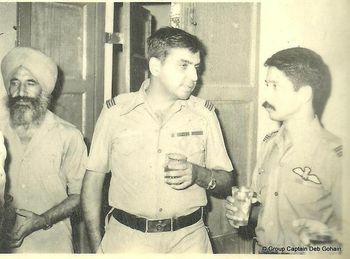 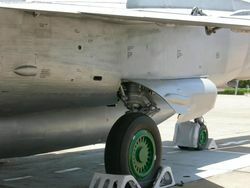 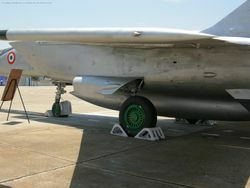 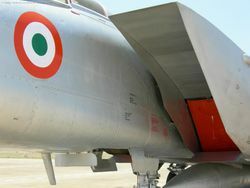 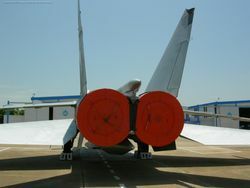 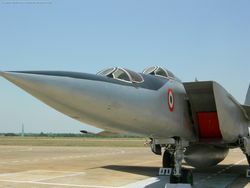 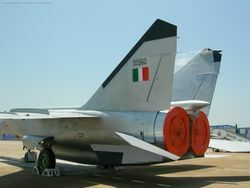 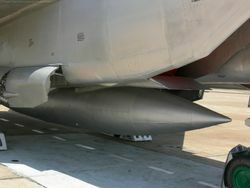 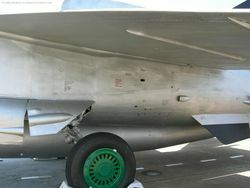 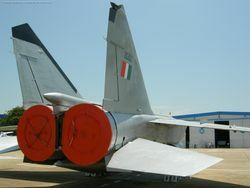 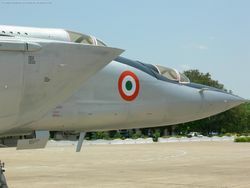 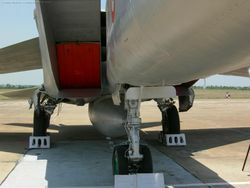 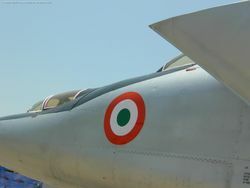 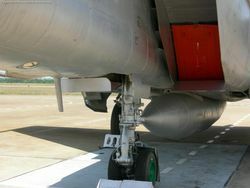 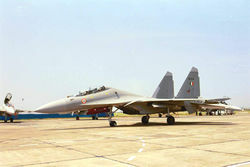 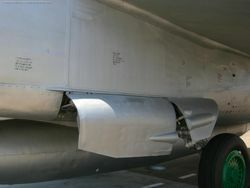 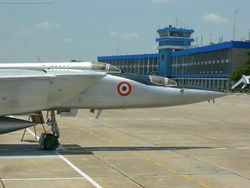 DS362 is one of the only two trainer versions of the MiG-25Rs inducted into the IAF. 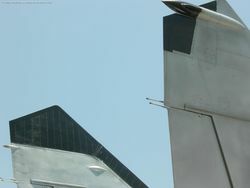 There was one survivor. 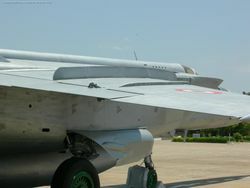 the fate of the second trainer is not known.